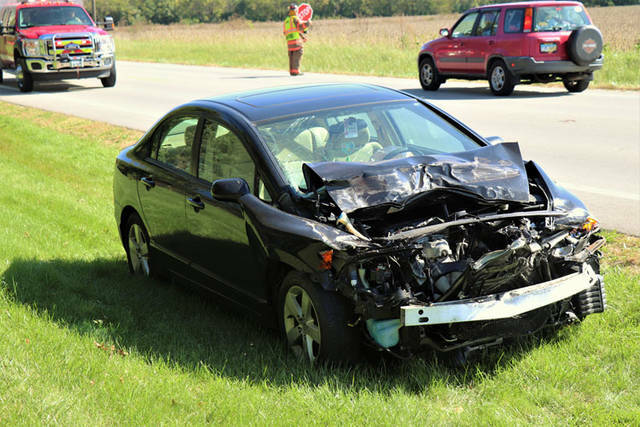 The driver of a black Honda Civic was injured when she failed to notice a Ford Ranger slowing and collided into the rear of the vehicle. 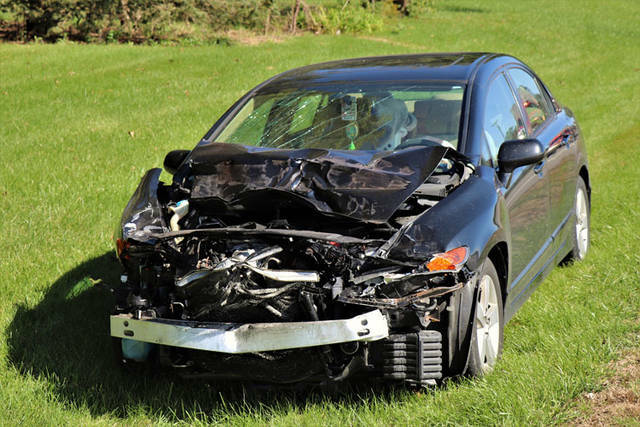 BRADFORD – A rear-end collision left one driver with injuries after an accident on U.S. Route 36 East. Shortly after noon, emergency personnel from Bradford Fire and Rescue as well as deputies from the Darke County Sheriff’s Department were dispatched to the 9600 block of U.S. Route 36 East in regards to an injury accident. 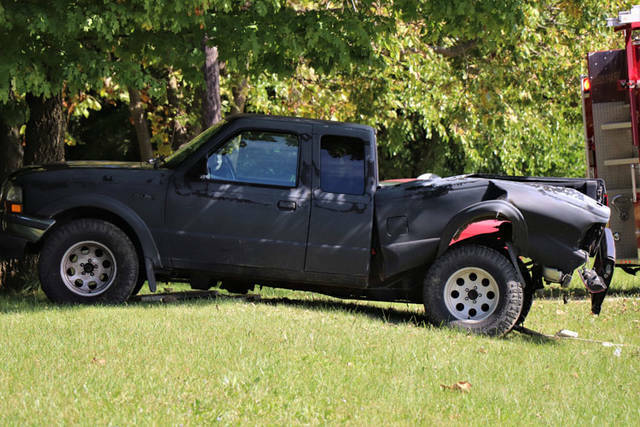 According to the Darke County Sheriff’s Office, a gray Ford Ranger was traveling westbound on U.S. Route 36 when it slowed to make a turn into a residential drive. A black Honda Civic, also traveling westbound, failed to notice the Ford slowing and collided into the rear of the vehicle. The Ford Ranger was pushed off the north side of the roadway by the impact, coming to rest against a tree in the front yard of a residence while the Honda Civic was able to pull to a stop alongside the roadway without further incident. The female driver, and lone occupant, of the Honda Civic was treated on the scene by Bradford Rescue before being transported to Upper Valley Medical Center for unknown injuries. The male driver of the Ford Ranger and his female passenger where uninjured in the accident and refused treatment by EMS. This entry was tagged Bradford, Bradford Fire and Rescue, Bradford Fire Department, Bradford Rescue, crash, Darke County Sheriff’s Department, Upper Valley Medical Center. Bookmark the permalink.